As President Trump considers pulling all U.S. forces out of Afghanistan, and with the Senate coming together this week to rebuke such a plan, a watchdog report released this week showcases the fragility of the reconstruction effort. Despite all the money spent and lives lost there, only about half the total number of districts in Afghanistan are under the control of the government, with eight falling out of Kabul’s control since 2017, according to the SIGAR report. Afghan President Ashraf Ghani said in November that more than 28,000 Afghan police and soldiers have been killed since then. At the same time, Afghanistan’s institutions and rule of law remain works in progress, as they have for the nearly 20 years that U.S. boots have been on the ground there. Advocates for the war have stressed over the years that the Afghan government must prove itself trustworthy and capable in order to turn citizens away from the Taliban and other insurgent groups. “The Afghan government has not yet demonstrated sufficient motivation or action to deter future corrupt actors, or to convince the Afghan people that the government is serious about combating corruption,” the report states. The report cites a U.S. plan to bolster Afghanistan’s air force with UH-60 Black Hawk choppers but notes that there will likely not be enough pilots to fly all the helicopters that are delivered. 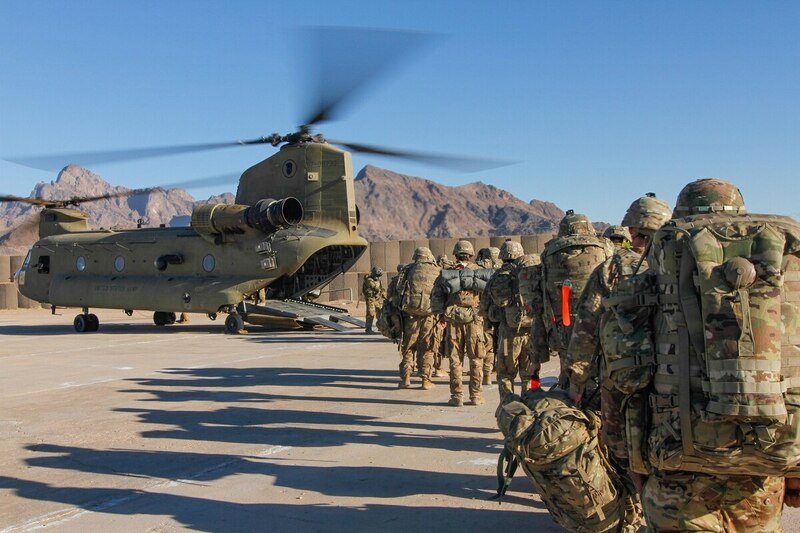 The U.S. has been transitioning Afghanistan’s air force from its fleet of Soviet-era Mi-17 helicopters to the U.S.-made UH-60 Black Hawks since 2017, but challenges still plague the program. Afghanistan’s mostly illiterate population has not produced enough maintenance personnel, which will limit Black Hawk operations because Pentagon policy prohibits U.S. contractors from working at maintenance sites were there are no NATO forces due to security concerns, according to the report. While proponents of staying in Afghanistan warn that insurgent groups could use the country to once again plan 9/11-style terrorist attacks, the SIGAR report found that the Islamic State’s Afghanistan branch, IS-K, claimed just three attacks in the last quarter, down from 14 in the quarter before that. But that green shoot came with a caveat. “However, there were 74 attacks this quarter conducted by unidentified armed groups-some of which could have been IS-K-that killed 220 people,” the report states. But the U.S. Senate hasn’t seen it that way, and members came together in a fleeting moment of bipartisan purpose this week to advance an amendment that would oppose the withdrawal of U.S. forces from Afghanistan and Syria.